If you're looking for the ultimate double lane slide, you've found it! The Fire'n Ice Dual Lane Slide is perfect when you want to have fun times two! 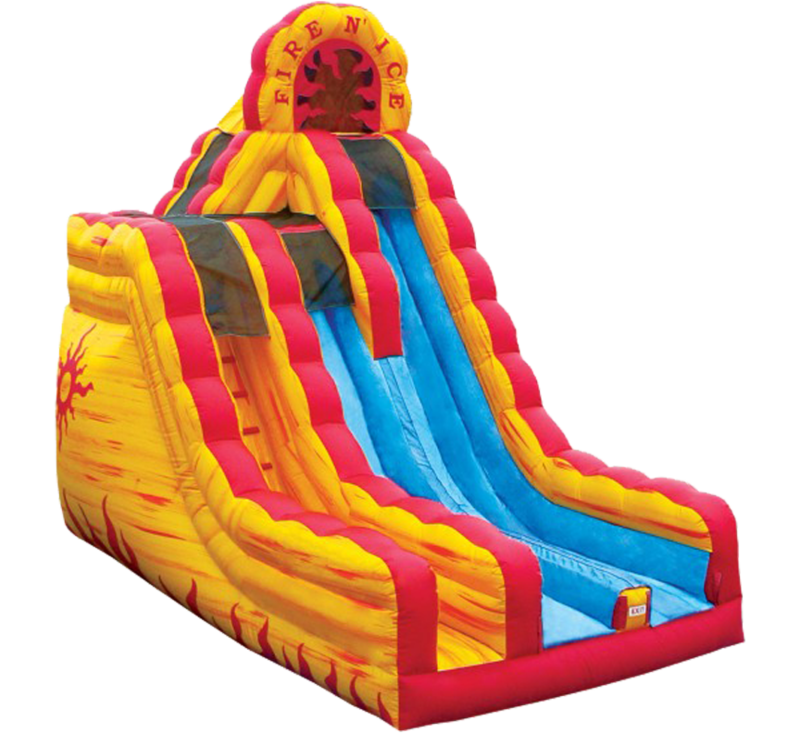 This slide is perfect for larger events, fundraisers, schools, houses of worship and BIG backyards! The Fire'n Ice Dual Lane Slide features two independent slides, big and bigger, and a steep angle that will thrill participants of all ages. CAPACITY: This unit can accommodate 180+ riders per hour. An adult MUST be present at all times while unit is in use.